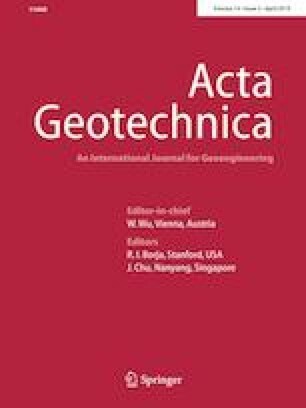 This study is devoted to experimental investigation of effects of pore pressure on plastic deformation and failure of a water-saturated limestone. The experimental study is composed of three different groups of laboratory tests. The basic mechanical behavior of the rock is first characterized by drained triaxial compression tests on water-saturated samples without pore pressure. The results are compared with those obtained in a previous study from triaxial compression tests on saturated samples with a constant pore pressure. In the second group, water injection tests under a confining pressure of 20 MPa and different values of deviatoric stress are realized to study the effect of pore pressure increase. Finally, undrained triaxial compression tests are carried out for investigating the coupling effect of plastic deformation and pore pressure variation. Based on experimental data, the validity of effective stress concept for plastic yielding and failure strength is discussed.